About: At Thunderbolt Wellness, private holistic health consultations and treatments are provided in a nurturing clinical environment; treating one patient at a time for the most beneficial communication. We work together to design individualized treatment plans that create positive, conscious change in your life and health - utilizing acupuncture, lifestyle counseling and Chinese herbal medicine. My clinical focus is on women's health, complementary support for chronic disease, depression, anxiety, and inflammatory patterns such as arthritis and pain. I am skilled in the ability to engage in honest dialogue with my patients, and have the ability, empathy and flexibility to be comfortable with a wide variety of patterns and individuals. About: Established in 2013, River City Community Acupuncture is one of three community clinics serving Central Virginia. We charge $35-$55 for the first visit and $20-40 for all subsequent visits. Central location, parking lot, and handicap access. About: After completing her bachelor's degree in 1996, Diane began quietly pursuing an interest in alternative and complementary medicine. Self study led to weekend workshops and intensive retreats on topics ranging from aromatherapy to reflexology. After suffering from a car accident in 2002, Diane turned to acupuncture for relief. ​It worked and a seed was planted. is difficult or that they lack options to improve their health and well-being. In addition to traditional body acupuncture, Diane incorporates scalp acupuncture, auricular (ear) acupuncture, electrical stimulation, microcurrent facial rejuvenation, reflexology, cupping, and gua sha; as well as, Chinese bodywork and herbal therapy to further enhance treatment success. About: Maegan utilizes herbs & acupuncture to address acute and chronic conditions – from colds and flus to Lyme disease and autoimmune conditions. She is skilled in supporting individuals with issues with digestion, circulation, women’s health, allergies, chronic pain and beyond. 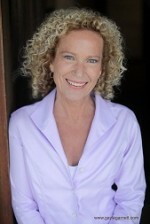 She seeks to address all aspects of the individual, and particularly enjoys educating others about lifestyle choices that impact our health, and working with patients within the mental-emotional realm. Maegan also places heavy emphasis on herbal remedies, as she believes the condition of modern life leaves most patients in a depleted state requiring supplementation and nourishment.